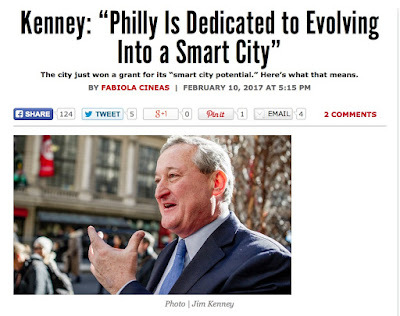 Will "smart" cities lead to surveilled education and social control? 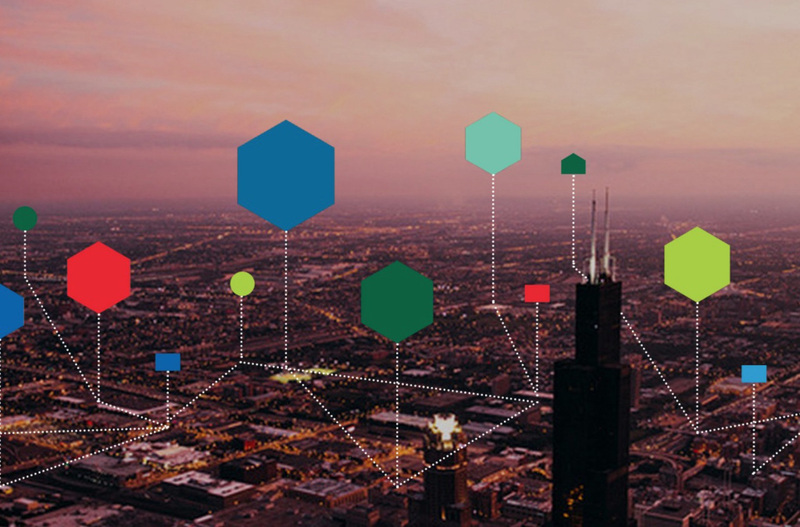 A growing number of metropolitan areas are being shaped by “Smart” City policies. Bloomberg Philanthropy’s “What Works Cities” aims to bring these programs to mid-size cities as well. Even in communities without explicit “smart” initiatives, “innovation” or “empowerment” zones are being proposed, often around school districts, enabling outside interests to sidestep existing legal and contractual protections under the guise of “autonomy” and “flexibility.” I hope the information I’ve pulled together will reveal how “smart city” and “learning ecosystem” interests often intersect and encourage others to think critically about similar programs in their communities. It is important to consider digital classrooms as nodes of smart cities. Classrooms touch the lives of many, and thus are logical places to begin normalizing the idea that as citizens it is our duty to generate and hand over massive quantities of personal data that will supposedly shape policy for the “public good” and manage our economy. Smart Cities are defined by their reliance on digital technology across government functions and the use of sensor-transmitted data to regulate provision of public services. The high cost of installing such networks, monitoring data, and maintaining the systems, especially in our current climate of austerity, means municipalities will increasingly look to partner with private companies and outside investors to provide basic public services. 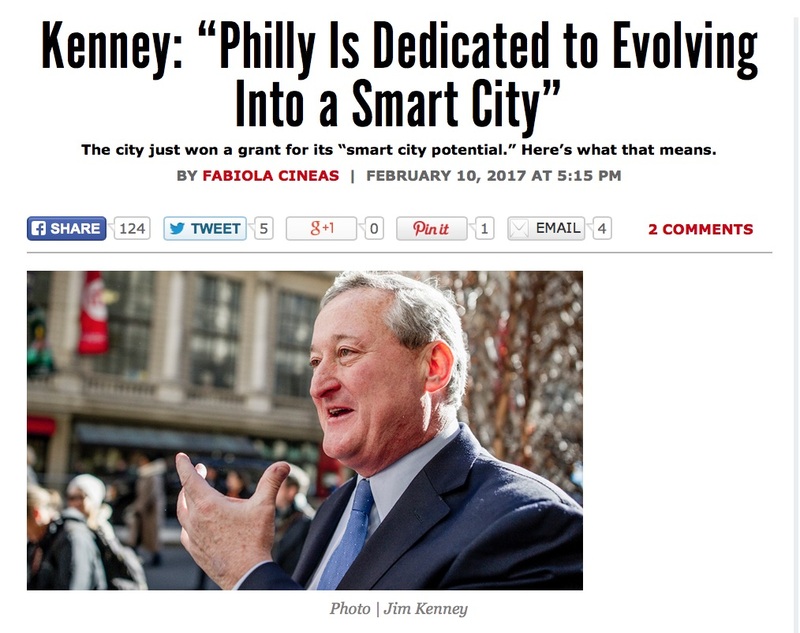 I anticipate “smart city” policies will fuel social impact investing. There is a belief that investments in “efficient” technologies will yield future cost savings, and therefore such infrastructure projects could become significant profit centers for venture capital. Last October the NAACP adopted a resolution calling for a moratorium on the authorization of new charter schools. Even though the new position did nothing to help the millions of children already trapped and abused in thousands of apartheid "no excuses" charter schools in 45 states, the resolution was viewed as the beginning of a societal shift away from the paternalistic "broken windows" school model that billionaires, hedge funders, and corporate foundations have supported for two decades as the final solution for urban pre-K-12 education. In adopting the new resolution against charter expansion, however, the NAACP found itself outside the political mainstream and, thus, upstream from the primary flow of cash that sustains the organization's top-heavy hierarchy. Then, as the AFT and NEA moved "all in" with their bet on a charter-embracing DNC that was/is owned by the Clintonians, the NAACP found itself further isolated and cut off from political influence and union generosity. The result has been a quiet death of the moratorium accompanied by a new charter-friendly policy by the NAACP. Not surprisingly, it is policy that mirrors the positions of AFT and NEA and NPE, which will be front and center in the 2018 midterm election year. The NAACP report boldly acknowledges that charters are part of a public-funded system. It says that it makes no sense to strip funding from the public schools that enroll the great majority of students in order to fund a parallel system that is usually no better than the public system and often worse. Got that? If charters are now "public," how can charters be stripping money away to a "parallel system?!" Charters, then, are no longer part of the problem--they are part of the solution! Bingo. I am very impressed that the NAACP did not succumb to the big-money behind the privatization movement. That shows their genuine commitment to the children and families for whom they fight. Like every national organization, the NAACP relies on major donors to survive. By standing strong against privatization of public schools, the NAACP has demonstrated courage and integrity. I add the NAACP to the honor roll of this blog, with admiration and respect. Remember, now, boys and girls: charter schools are public schools, so they can no longer be accused of privatizing. Every year American public school educators send approximately a billion and a half dollars to the National Education Association and over half that amount to the American Federation of Teachers. The NEA’s latest policy statement on charter schools should make every teacher wonder why she is sending in those hundreds of hard-earned dollars every year to help NEA and AFT misleaders to put a stake in the heart of public schools. The corporate lawyers who write NEA policy have been dissembling, dodging, and weaving for a long time on the subject of charter schools. With this new policy statement, it is clear that that has not changed. Unless both the basic safeguards and process detailed above are met, no charter school should be authorized and NEA will support state and local moratoriums on further charter authorizations in the school district. Now mind you, this does not mean that NEA headquarters will do anything or even threaten anything on its on if the charter industry ignores NEA’s latest dissembling. What NEA will do, however, is to not stand in the way of any NEA affiliate that wants to tie its membership onto the tracks for the billionaires’ corporate charter locomotive to flatten. Where is the NEA and AFT leadership? They are, of course, at the corporate education table, even if they have to sit underneath it and beg for bones to be thrown to educators. Based on past experience, we may expect the multi-billion dollar charter industry to summarily ignore NEA’s pathetic statement on charters, which is delivered without demand, without promised repercussions, and with zero fanfare. NEA’s new statement signals a policy that continues down the dead-end Democratic Party’s Third Way, which has surely earned the label of Third Rail by now—following the 2016 election. NEA’s policy on charter, in fact, is one that would never cause a Clinton to cluck. And what happens if, by some miracle, NEA’s entire fanciful list of conditions is met, thus making meaningless calls for moratoriums unnecessary and any further pretense of charter outrage irrelevant? Not much. Now the NEA statement supports “prohibitions against for-profit [charter] operation.” It is reasonable to ask, then, if for-profit charters are prohibited, will the billions of public dollars that are now going to the charter industry stop flowing into privatizers’ pockets. Not at all. In fact, the majority of charters have always been of the “non-profit” variety, with only 13 percent of the nation’s 7,500 charters run by for-profit companies. Insisting that all charters become “non-profit” will only guarantee that that state and local education dollars will continue to fill the coffers of the charter industry, which thrives by claiming “non-profit” status for their segregated cultural sterilization schools based on the KIPP Model. It matters not to a school system that must fire its librarians to make payroll if, in fact, monies now being diverted to charters go to a charter operator’s bank account that is designated as “non-profit.” In fact, the “non-profit” status guarantees many tax advantages for the big donors and operators who view the paternalistic “no excuses” charters as the urban education final solution. Which brings us to the greatest weakness of the NEA policy on charter schools. If all the items of NEA’s wish list were realized, and that is a huge “if,” the charter industry’s corporate colonization of urban schools by the 6,500 non-profit charters now in operation would continue unabated. If all of NEA’s fanciful wishes were met, hundreds thousands of children and thousands of their missionary teachers would continue to suffer daily indignities and ongoing dehumanization from white corporate school managers who pretend that callous brutality is justified as a means to an end that always boils down to performance on standardized tests and behavioral grade cards. We have to wonder when the remaining members of AFT and NEA will join those hundreds of thousands of educators who have already stopped their enabling of NEA’s corporate education habit. When Michael Horn keynotes the Metropolitan School District of Warren Township’s Blended Learning Forum in Indianapolis at Creston Intermediate/ Middle School on July 20, 2017, the Harvard Business School graduate will be welcomed by the school reform crowd, since it won’t be the first time his Christensen Institute has mingled in Indiana. Horn and his mentor Clayton Christensen* specialize in convincing educators and politicians that personalized learning, through technology, can save a so-called failing and outdated school system. The two co-founded the Clayton Christensen Institute for Disruptive Innovation (formerly known as the Innosight Institute*), now a San Francisco Bay area think tank. Although he has shuffled into a new job with Entangled Solutions, Horn is still listed as a distinguished fellow at the Christensen Institute. Clayton Christensen, a Harvard business professor, is glorified in the business community for his theories supposedly explaining how disruption “takes root initially in simple applications at the bottom of a market and then relentlessly moves up market, eventually displacing established competitors.” In the case of education, the “established competitors” to be displaced by “personalized” computer-based learning are public school teachers, since blended learning and online educational environments allow for a reduced labor force and will eventually lead to the elimination of brick-and-mortar schools altogether, edtech leaders hope. Besides pocketing over $3.4 million in Gates Foundation money over the years, the Christensen Institute has received high esteem from those determined to privatize public education from pre-school to university. For the Christensen Institute and the billionaires, the end-game plan means first gaining access to the schoolhouse itself then using administrators and educators (like those at the MSD of Warren Township conference) to spread the technology and so-called personalized learning from school district to school district. Previous Mind Trust operative Ken Bubp, now commanding the Arnold Foundation’s education unit, also attended the Mind Trust Marian event. Michael Horn and the Christensen Institute also have friends at the Mind Trust-spinoff CEE-Trust. In September 2012, when the Christensen Institute was still calling itself the Innosight Institute, Horn was on the “Launching an Inner-City Blended Learning School” panel at the Philanthropy Roundtable conference in New York City, an event where Ethan Gray, head of CEE-Trust, also presented. In 2013, Michael Horn did a CEE-Trust webinar on disruptive innovation with host Carrie Douglass, a past Broad Foundation resident and chief strategy officer for CEE-Trust. With the Gates, Broad, and Dell foundations, the Charter School Growth Fund, Silicon Schools, and a few others, CEE-Trust and the Christensen Institute developed “A Working Definition of Personalized Learning,” now accepted as industry gospel. At the Texas statehouse on March 12, 2015, Christensen’s senior research fellow Thomas Arnett testified before the Texas Senate Education Committee in favor of SB 894, a Course Access bill allowing students to grab classes through the Texas Virtual School Network, as did a representative from iNACOL, and favorable testimony from Jeb Bush’s Foundation for Excellence in Education followed the next day. Course Access is meant to disrupt traditional public schools, siphon school funding to private online companies, allow cash-strapped districts not to hire or replace teachers, and help consulting firms land money by training schools on how to manage their outsourced courses. Michael Horn has praised the tactic, stating “it takes school choice and ‘puts it on steroids.’” In an interview with Ron Matus at redefined, Horn says the MOOCs (the massive open online courses used at universities) and Course Access (also referred to as “Course Choice”) programs “blow up the geographic … scheme we’ve had for where someone goes to school.” He adds that students may still need a school of record to help students and parents manage their options. Patricia Burch, an associate professor of education and policy at the University of Southern California, worries that the Course Access maneuver, which has already been adopted by ten other states, can have a major impact on school districts’ budgets, since money for online courses will be sent not only across districts but also state lines, she told the Atlantic. Course Access, no doubt, could be a boon for K-12, Inc. and other online companies and platforms. In fact, thanks to the lobbying efforts of Chiefs for Change, where IPS’ Lewis Ferebee is now a member, the new ESSA federal law permits states to use 3 percent of their Title I funding—which amounts to $425 million—for programs which include online courses, personalized learning, and Course Access programs. In the introduction to a 2014 Course Access brief, Jeb Bush writes that “Having a high-quality education must no longer depend on location. For the next generation of students, the international stakes are too high to restrict access to great courses based on zip code.” In reality, trends in Florida, Utah, and Texas show that wealthy and white students are the ones using Course Access, not the low-income minority kids Bush and other edtech supporters claim. * Horn, who worked at America Online “during its aol.com re-launch,” has directed the hedge fund-affiliated $25 million Robin Hood Education + Technology Fund in New York City and was a member of the New York Education Reform Commission and the $100 million Gates-funded student data-collecting failure, InBloom, for starters. * The Innosight Institute should not to be confused with the Innosight consulting firm, which Clayton Christensen co-founded in 2000 with Michael Overdorf, now Eli Lilly’s vice president of corporate strategy & business transformation. * Besides edtech champions Tom Vander Ark, iNACOL’s Susan Patrick, and Rocketship’s CEO John Danner, the Philanthropy Roundtable conference in New York City also included the Mind Trust-backed Seton Education Partners’ Scott Hamilton and Anthony Kim, CEO of Education Elements, the NewSchools Venture Fund-backed enterprise that MSD of Warren Township hired to launch its personalized learning program. * In 2011, when then-Indiana superintendent of public education Tony Bennett sat on the Council of Chief State School Officers’ taskforce on Next-Generation State Accountability Systems, Horn was one of several advisors who reviewed and gave feedback on CCSSO’s Roadmap (page 38).